Gurgaon was historically inhabited by the Hindu people, and in early times it formed a part of an extensive kingdom ruled over be Ahir clan. In Earlier History is told that it was the Village of guru Dronacharya who was the Teacher of Kauravas and Pandvas. During Akbar’s reign, Gurugram fell within the governing regions of Delhi and Agra. As the Mughal empire started to decline, the place was torn between contending powers. By 1803 most of it came under the British rule through the treaty of Surji Arjungaon with Sindhia. The town was first occupied by the cavalry unit posted to watch the army of begum Samru of Sirdhana. It become a Part of the district, which was divided into units called parganas. These units were given to petty chiefs for the military service rendered by them. Eventually these units came under direct control of the British, with the last major administrative change n 1836. After the revolt of 1857, it was transferred from the North-Western provinces to Punjab province. In 1861, the district, which Gurugram was a part of was rearranged into five tehsils: Gurgaon, Ferozepur Jhirka, Nuh, Palwal and Rewari (10) and the modern-day city came under the control of Gurgaon tehsil. in 1947, Gurgaon became a part of independent India and fell under the Indian state of Punjab. 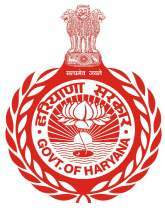 In 1966, the city came under the administration of Haryana with the creation of the new state.